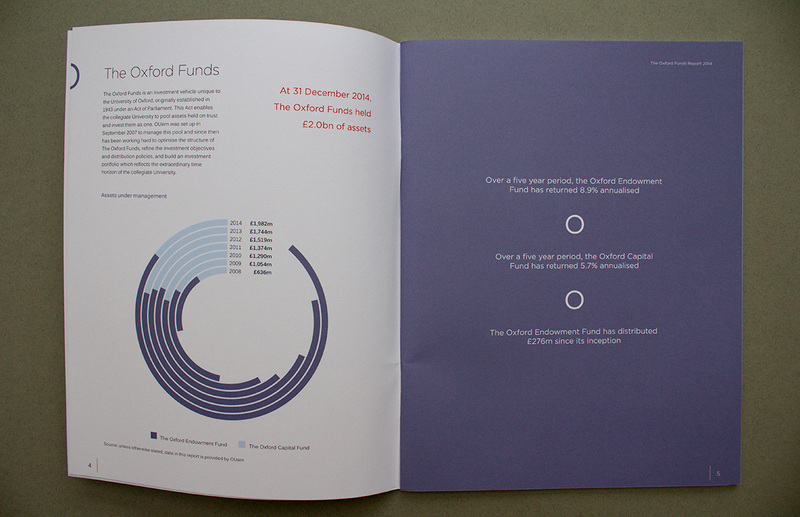 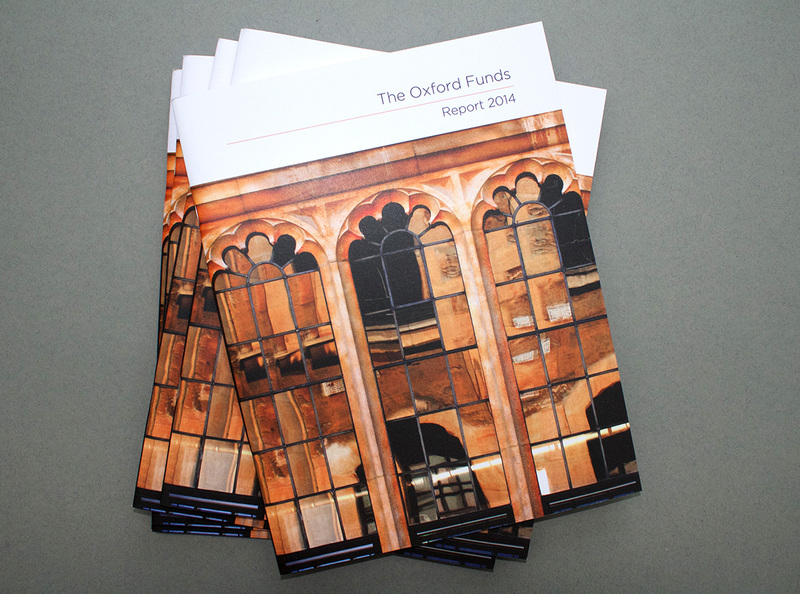 OUem invests gifts donated to the collegiate University of Oxford for the purposes of education and research. 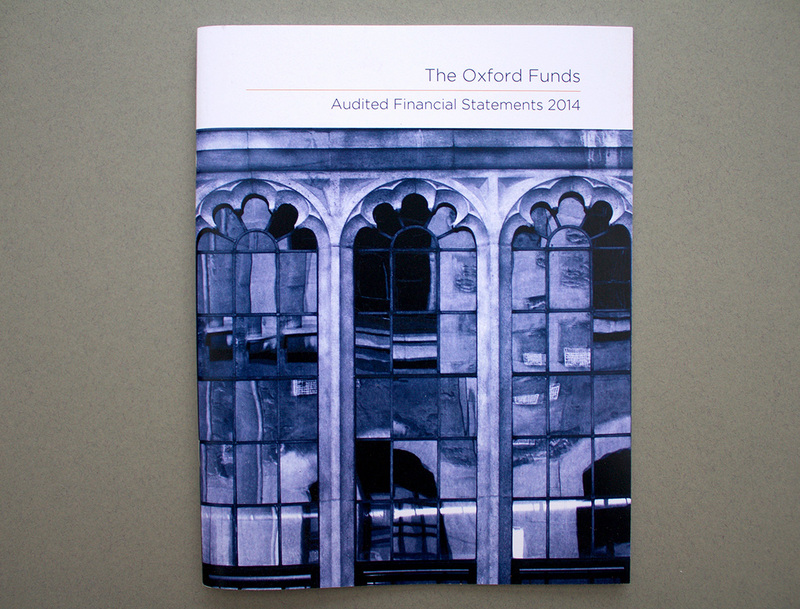 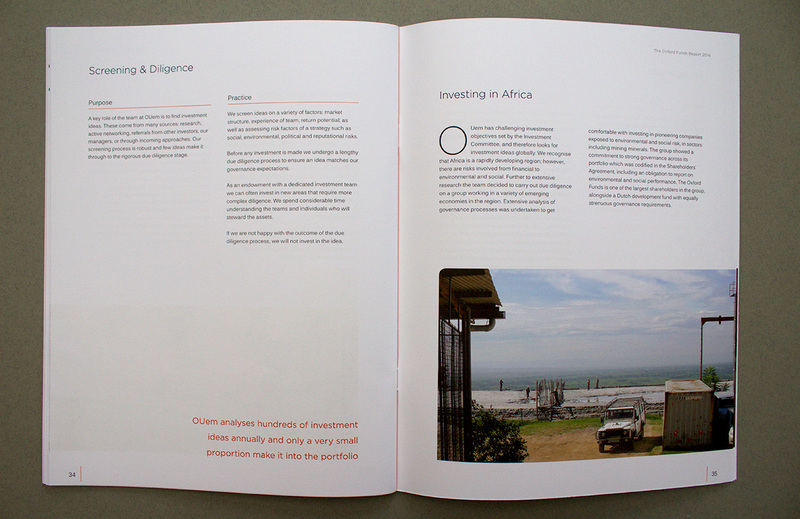 We designed their annual report and audited financials to work as a pair of complementary publications. 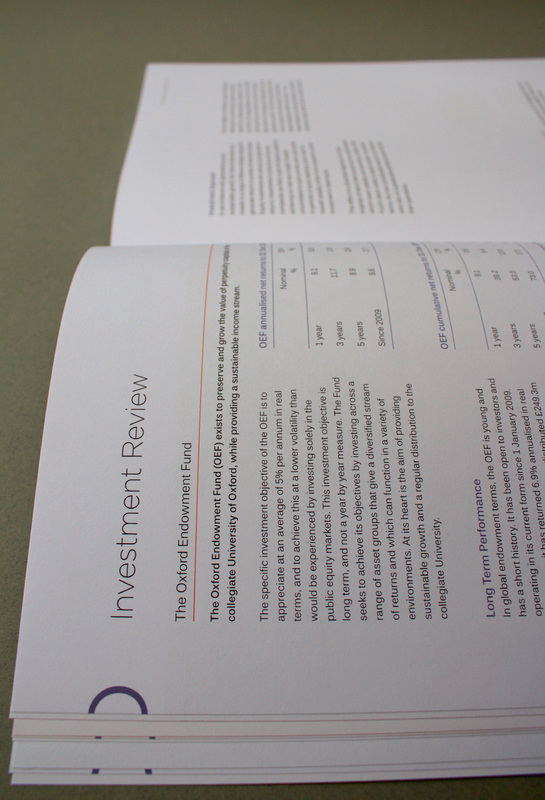 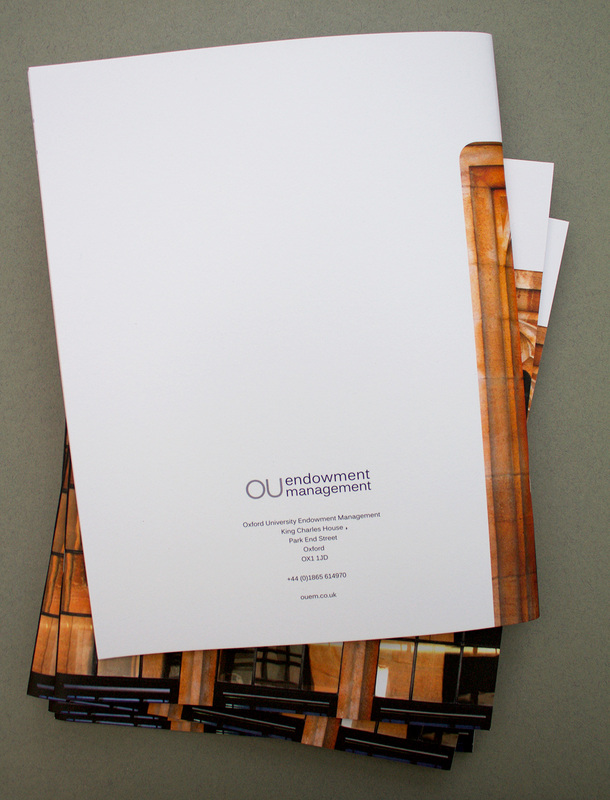 The OUem website makes use of some orange as a feature colour so we developed the use of this to their annual print communications, to help maintain design continuity from digital to print media. 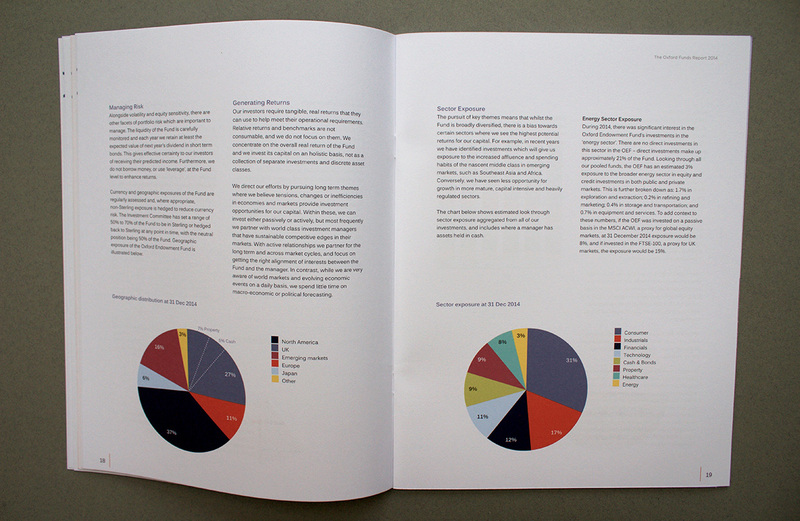 Where relevant, images were used infrequently and large for impact. 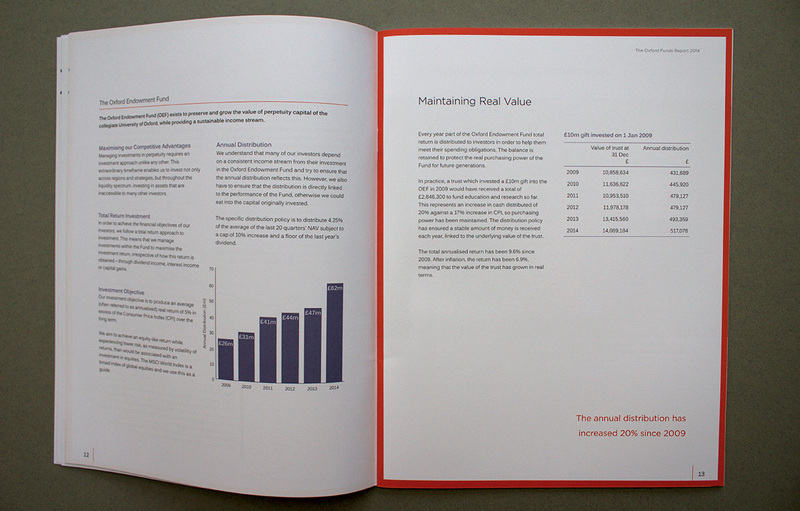 Graphs, tables, charts and other graphic visuals use a bold, limited palette, consistent with and evolving from the existing brand visual identity for OUem. 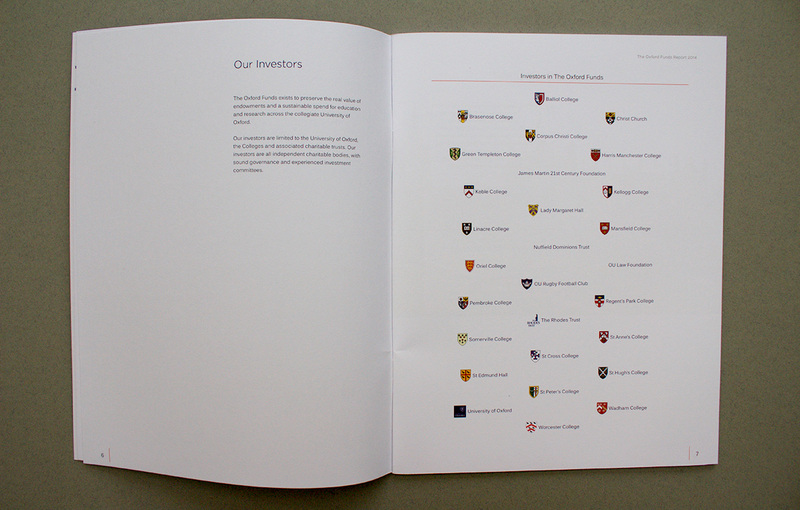 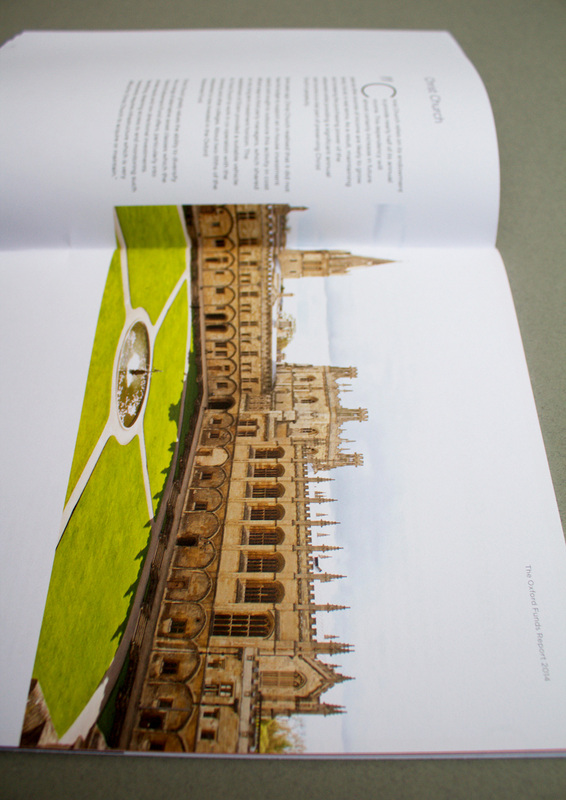 The finished print publications included a matt laminate cover, using uncoated stock throughout.